Protestors from the National Audubon Institute, the Gulf Restoration Network and other organizations stand outside federal court on the first day of the Gulf oil spill settlement trial in New Orleans, Monday, Feb. 25, 2013. BP launched its promised appeal against "fictitious" and "absurd" oil spill compensation payouts on Friday and asked a judge to temporarily halt those made on a so-called business economic loss basis. In a New Orleans court filing, BP gave examples of businesses in industries far from the spill and unconnected with the coastline that enjoyed strengthened earnings in the spill year of 2010 and yet had received millions in spill compensation. The British oil and gas group, which has already sold a susbtantial part of its business to pay reparations and fines for the disaster, said it could be "irreparably harmed" by the payouts without relief from the court, because they could cost it "billions" more than it budgeted for when it agreed to a settlement in April 2012. The ruling, by the same U.S. District Judge Carl Barbier who presides over BP's ongoing trial on separate civil charges, reopened a part of the saga that appeared to have been settled almost a year ago when BP agreed terms on economic, property and medical compensation for more than 100,000 individuals and businesses who had filed a class action suit. At the time of the settlement, BP estimated the bill would be $7.8 billion - already making it one of the biggest settlements of its kind in U.S. history. As the payments started to flow out, BP realized that the funds it had set aside would be insufficient. At first, it added more, reaching $8.5 billion by the end of 2012, while complaining that the payments to businesses were too generous and the terms of the settlement were being misinterpreted. On March 5, Judge Barbier upheld Juneau's methods. Two days later, BP said it would appeal, and it reduced the sum earmarked for payments back to $7.7 billion to underline its disapproval. "The BEL (Business Economic Losses) policy decisions rewrite the agreement's express terms, and contradict its purpose, plain text, and underlying principles by authorizing compensation awards for claimants seeking to recover for non-existent 'losses.'" BP's Friday filing said. "BP did not agree to pay what is already hundreds of millions of dollars, and potentially billions, to claimants with 'losses' that do not exist in reality, but result solely from the claims administrator's rewriting of the agreement." The April 2010 spill happened when the Macondo well ruptured and the Deepwater Horizon rig that was working on it exploded and sank. The accident killed 11 men and spouted 4 million barrels of oil into the Gulf of Mexico in the United States' worst offshore oil spill. 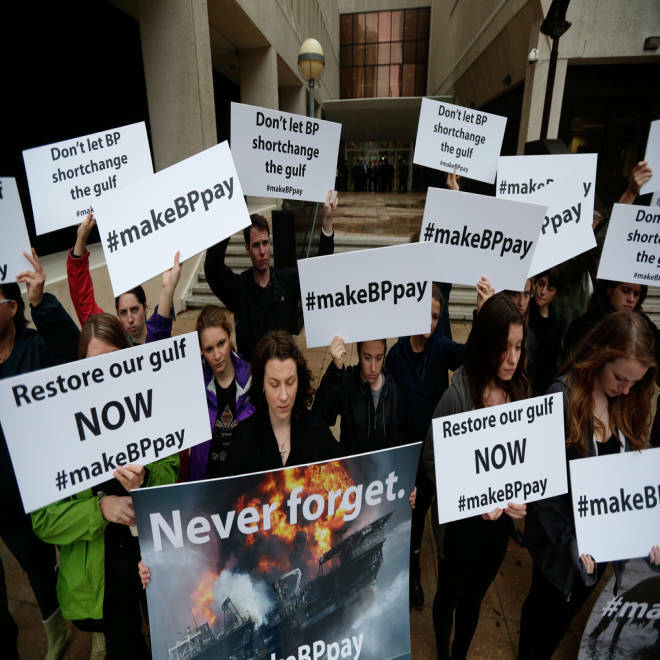 In its filing, among the examples BP offered of "absurd" claims, the British company referred to a $21 million payment made to a rice mill in Louisiana situated some 40 miles (64.4 kms) from the coast that earned more revenue than in spill year of 2010 than in 2007, 2008, or 2009. It also cited a $9.7 million recompense for a highway, street and bridge construction company in northern Alabama, almost 200 miles (322 kms) from the Gulf, and which does no business in the region, and for which 2010 was its best year on record. "This court has already affirmed Mr. Juneau's independent interpretation of the settlement agreement..., terms which were negotiated, co-authored and expressly agreed to by BP," said co-lead counsels Steve Herman and Jim Roy. "Simply put, BP undervalued the settlement and underestimated the number of people and businesses that qualify under the objective formulas that BP agreed to." One describes the experience of a Florida bicycle retailer it represented. The shop enjoyed an increase in spill year revenue to $2.5 million from $1.9 million in 2009, and yet managed to win a payout of "almost one million dollars," the advertisement says. Another explains how under one of the tests involved, claimants can demonstrate a loss by choosing to compare "any consecutive three months from 2010" with "a large combination of months going back to January 2007." BP's appeal covers just one area of a raft of costs and potential costs it faces as the third anniversary of the spill approaches on April 20. Its accounting provisions for the spill total around $42 billion - equivalent to about 30 percent of its stock market value. Almost matching that it has sold assets worth $38 billion to finance compensation, clean-ups and fines, and it has paid, or committed to pay, $37 billion. The actions have sliced $5 billion a year, or 14 percent, off its cash flow - a basic measure of its ability to make money. Some $4 billion in criminal claims - which are capped - have been settled, and are included in the above amounts, but civil claims under the Clean Water Act covered by the trial that began in February could add another $17.5 billion.